You’re Now Free – so get to work and don’t expect help! 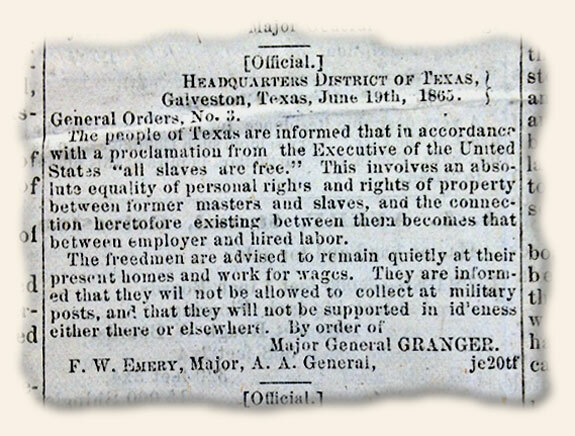 Major General Granger’s General Order #3, which appeared in the July 25, 1865 issue of Flake’s Daily Bulletin, provides contrasting news for the newly freed slaves. Good News: You are now free! Bad News: Get to work and don’t come crying for help! I wonder how we would handle this same situation if it were to happen today?? ?